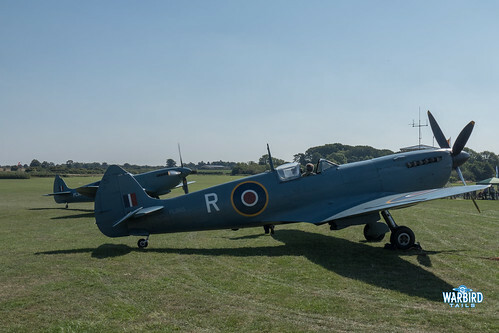 The Shuttleworth Heritage day is an annual celebration of the whole collection and the rich history that Old Warden has created. 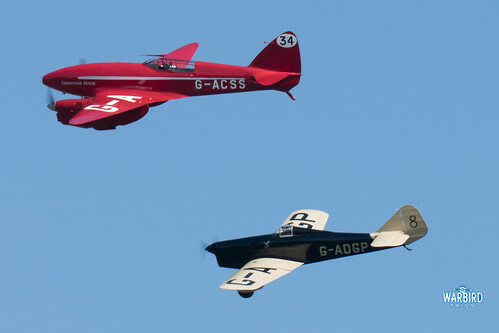 The flying display typically focuses on the collection aircraft, with a selection of visiting aircraft, often with an Old Warden connection. On the ground there was an opportunity to get up close to the display aircraft with an uncovered paddock, offering the chance to examine the aeroplanes and vehicles in detail ahead of the display in the afternoon. The flying display started with a high energy performance from the global stars aerobatic team, who performed a three ship display of close formation aerobatics. 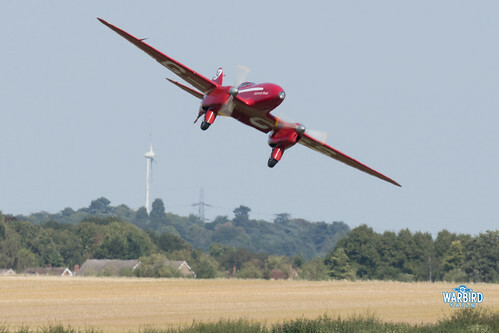 This performance seemed to benefit from a much closer display line than previous appearances and included an extended solo aerobatic performance. The collection’s latest addition, the Miles Hawk Speed Six made its first appearance alongside the collection’s other iconic racer, the DH88 Comet. It was a unique sight to see these two historic racers in the air together. The Speed Six presents a challenge when formatting with the more slippery lines of the Comet, but the single pass they managed together was certainly memorable. 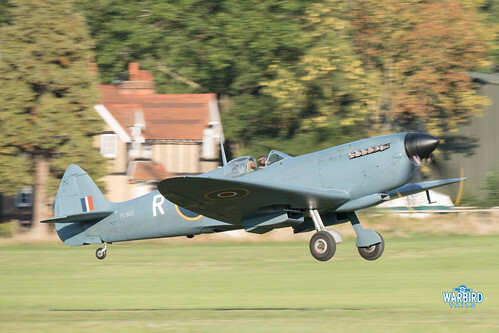 The Speed Six is one of those aircraft that could be displayed for hours and I don’t think I’d tire of it, in this case its landing was met with a Comet solo display, which rather softened the blow! Another notable visiting display came from the Focke-Wulf FW44 Steigliz which showed off its surprising aerobatic abilities as part of an impressive display. 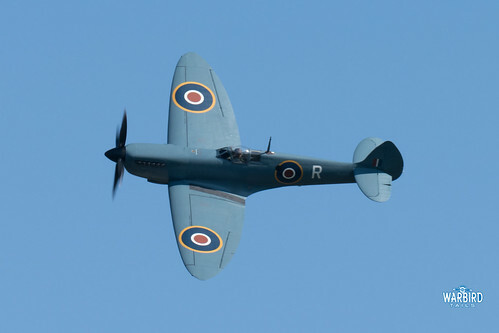 I had not previously seen an example of the type performing aerobatics and felt this was a great addition to an Old Warden show. Hopefully the first of many appearances. The collection’s training aircraft were out in force with displays from the Tutor, Tiger Moth, Chipmunk and both Old Warden based Magisters. An unquestionable highlight of this show was the return of an Old Warden resident from the past. Spitfire XI PL983 spent some time in Old Warden as an effective “gate guardian” decades ago before eventually being rebuilt to fly. 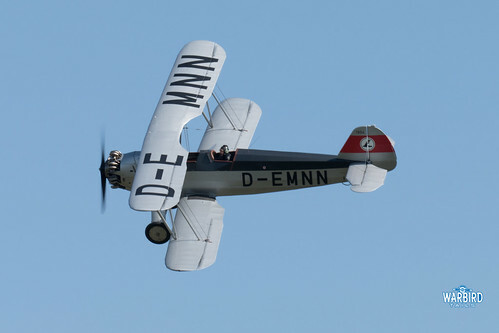 The airframe returned to the air earlier this year as part of the aircraft restoration company collection at Duxford and this show was the first return to Old Warden since restoration. 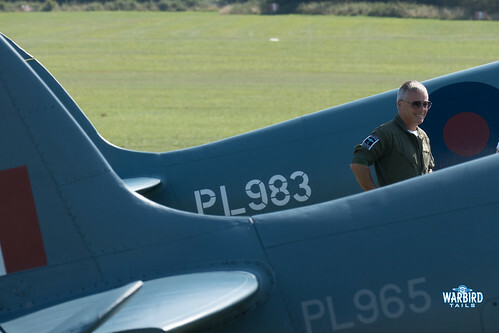 This event was made even more special with Peter Tecichman’s Mk XI PL965 joining 983 in the air. 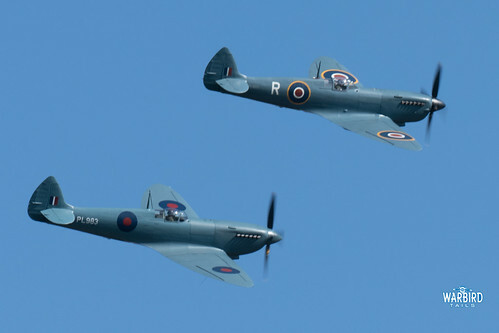 This will certainly be one of the few times that both airworthy Mk Xi’s have displayed as a pair. 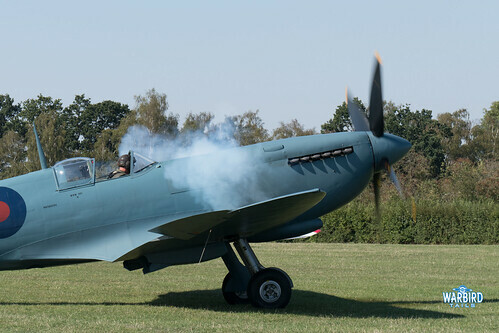 This performance was also Peter Teichman’s last at Old Warden before he retires at the end of 2018. 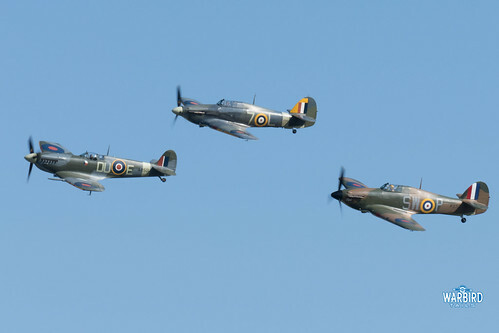 The home warbirds also delivered polished performances with the Gladiator, Spitfire and a Hurricane pair all displaying. Weather conditions allowed for a variety of WW1 types to take to the air, with a notable close formation pairing of Sopwith Triplane and Camel. Though both machines have flown together already in 2018, this was by far the closest formation I have seen from this, or any other rotary pair for that matter. Later in the day the Bristol Fighter, Avro 504 and Bristol M1c also displayed. Bliss for the WW1 enthusiasts in attendance. 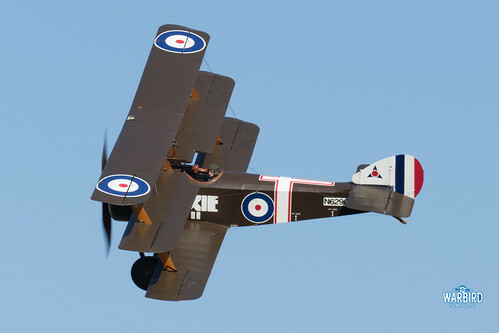 Fittingly as part of the Shuttleworth pageant, three aircraft closely associated with Richard Shuttleworth flew together as part of the flying display. The Comper Swift, Desouter and DH60 Moth flew a short formation display before each performing solos. 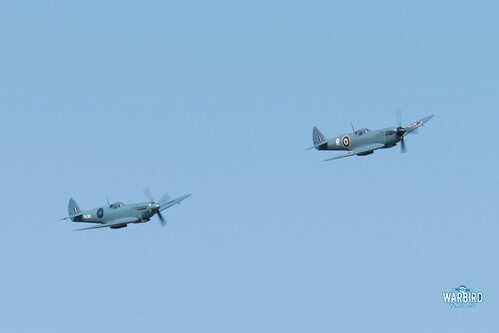 This is the first time I can remember seeing these significant machines in the air together and the Heritage Day show was certainly the perfect occasion. 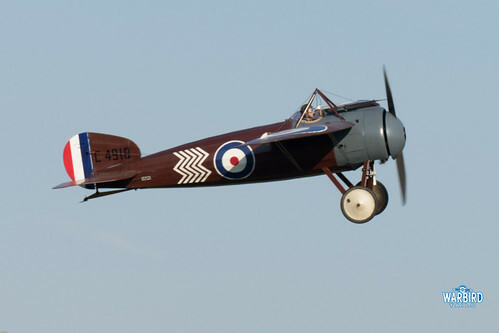 Completing the days action was the perfect shuttleworth finale of the Edwardians. On this occasion it was left to the Bristol Boxkite and Avro Triplane to bring the show to a close.